How will Tennis and Squash Help you in Hockey? Home » Hockey tips » How will Tennis and Squash Help you in Hockey? Tennis and sqaush are great sports to participate in because you really only need two people to play. You can also play by yourself if you really want, however you will not be challenged quite as much. I like squash a bit more because you are constantly changing direction, and you must move fast in order to get to the ball. 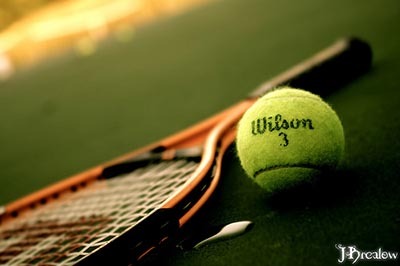 I find with tennis if you are not that good you will spend more time getting the ball, rather than actually playing. Squash is a great sport you can start with your child and you will both benefit from the extra activity. I have listed a number of skills that tennis and squash will help build that will also be important in the game of hockey, however there are many other sports that you can participate in that will help your game in hockey. You can read some of my articles to find a whole list of sports that you can play that will not only make you a better athlete, but also a better hockey player! How Will Soccer Help Your Hockey Skills? I never thought of this before, I have only been playing Hockey for about 2 years (I’m 22 y/o) but everyone I play with said I seem to improve and get better quicker then the average player… After reading this it would make sense given that I played Tennis all through Jr. High and High School, at JV and Varsity level.